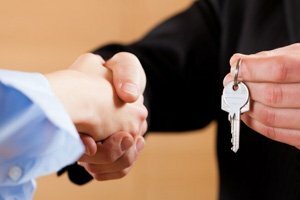 The ezLandlord Forms Lease Signing Tips - Rental Checklist is created to aid the landlord in the final stages of the lease signing process. Signing a lease can be a very chaotic and stressful process. It is imperative that both the landlord and tenant do not rush through this process. Trying to schedule a meeting time when both parties are available can be an obstacle so, it is very important to get everything done in a reasonable time frame. The lease signing tips checklist is a list designed to aid landlords who are in their final stages of the rental process. Simple tasks such as having multiple copies of the document available is quite easy to forget in this lengthy process. By downloading and printing a copy of the lease signing tips checklist landlords can save themselves from a serious headache. Not only does the lease signing tips checklist provide tips on security deposit collecting and key distribution, but it also lends advice to landlords about storing and maintaining documents as well as law references. This checklist was created to help organize that extensive “to-do” list landlords have to make the lease signing process as smooth as possible. We provide the lease signing tips checklist to use as a reference tool. Although these tips may seem familiar to landlords, it can be hard to juggle the demands of being a landlord while making sure all of the loose ends are tied. This document also has a field for landlords to record notes. This can be helpful to have a spec to jot down notes and especially when things do not go as planned. Download the lease signing tips rental checklist today! This document is emailable. It is recommended for landlords to keep copies of informational management documents for future references. Whether this is a landlords first rental, or if they are a veteran, you can never be too careful during the lease signing process.